Mother Earth Made it Best! 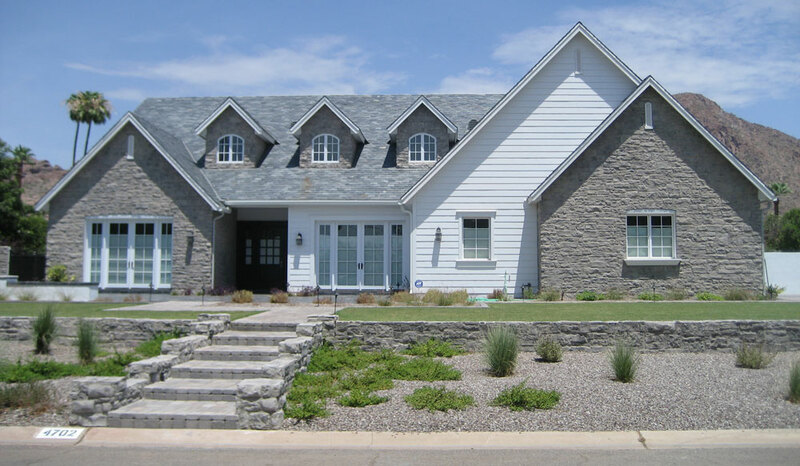 Increase your home’s curb appeal with an eye-catching natural stone, on your roof! Slate tiles are one of the highest quality roofing materials on the market, and are commonly sought after to top most luxury properties. 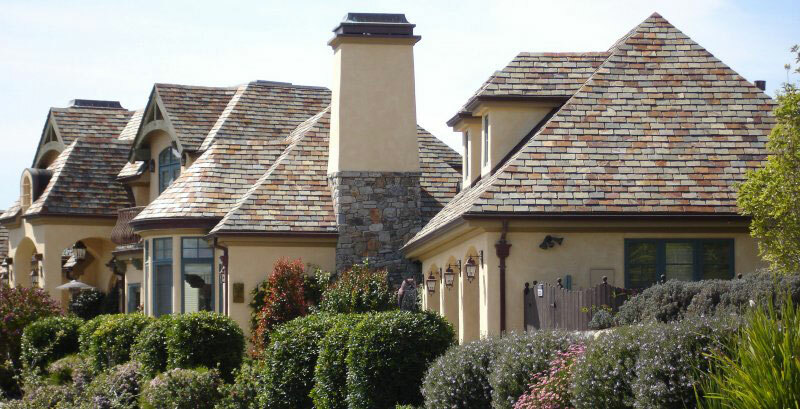 Surprisingly, slate tiles come in a variety of sizes and colors, allowing a property owner to best match their new roof to any exterior color pallet. Create a truly one-of-a-kind roof, as each natural stone tile is unique with its own variations in color, texture, shading and veining. No one else will have a roof like yours. While aesthetically pleasing, slate delivers more in performance, as it is one of the most fire resistant roofs in existence; natural stone tiles are virtually fire proof. Live more environmentally friendly by choosing this natural product that will recycle and get a little respect for going green. 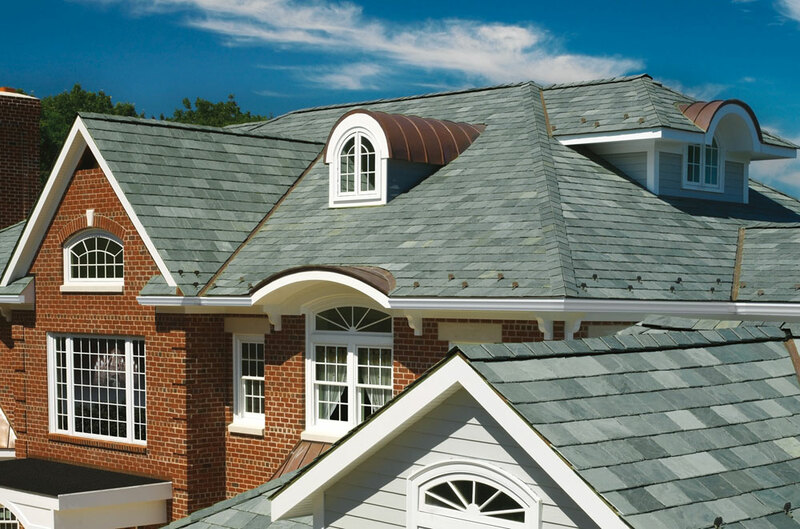 Further, slate roofs are popularly purchased by those who want their roof to last longer than their lifetime, and are willing to pay the added cost. While other manufactured roofing systems offer a “limited lifetime warranty,” they are lucky to last 20- 30 years before needing repairs or a full replacement. 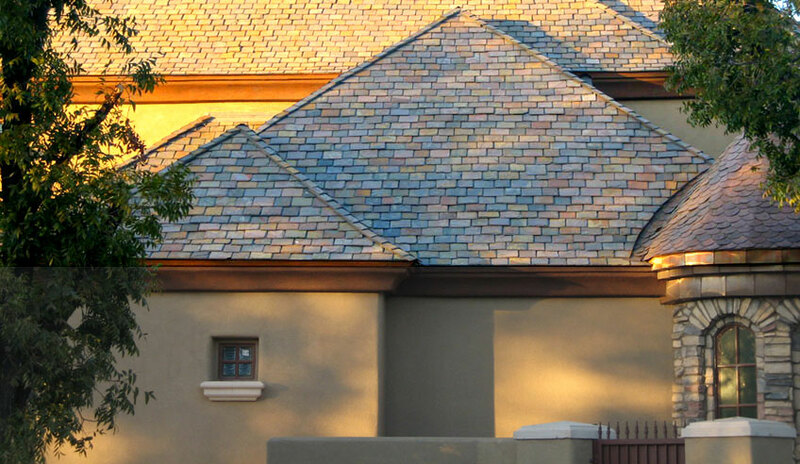 Homeowners who install slate roofs can set it and forget it.